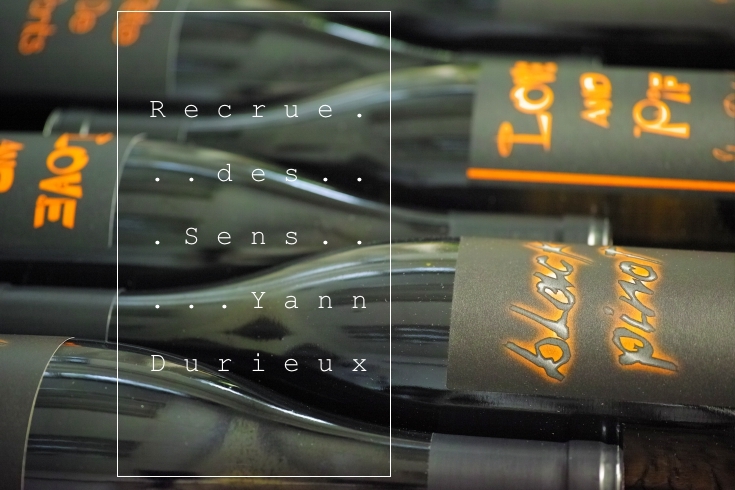 Yann Durieux has taken care of vineyards of Prieure Roch since 2008 and he began to produce his wine in 2010 with 3ha in Villers-La-Faye, Huates Cotes de Nuits. Yann is first and foremost a producer who looks after nature and seeks for the ways to develop viticulture in balance with the eco-system. He treats his vines with the highest standards of quality, no chemicals of course, and extremely low yields. Vineyards have never been damaged by chemical. Hand picked grapes are fermented with whole bunch with natural yeast, and wines are aged in old barrel. Non SO2 added, non filtered. This totally natural wine making requires taking big risk in Burgundy, but Yann Durieux is boldly pursuing it without compromise and releasing brilliant wines. This pure, delicately extracted, weightless, yet very tasty wine is kind of the most expensive "Vin de France", but it is in the same line of finesse as Prieure Roch and Pacalet. These new labels from non classified vineyard suggests further possibility of Burgundy. Copyright © PILLARIWINE CO., LTD.. All Rights Reserved.